The phrase “East India” in the late 1800s conjured up exotic images of ancient cultures, mysterious religions, and cocktails. Well, at least one…cocktail that is. The original East India Cocktail recipe first appeared in Harry Johnson’s book New and Improved Bartender’s Manual in 1882 and it was an amalgamation of liquors from many parts of the world. 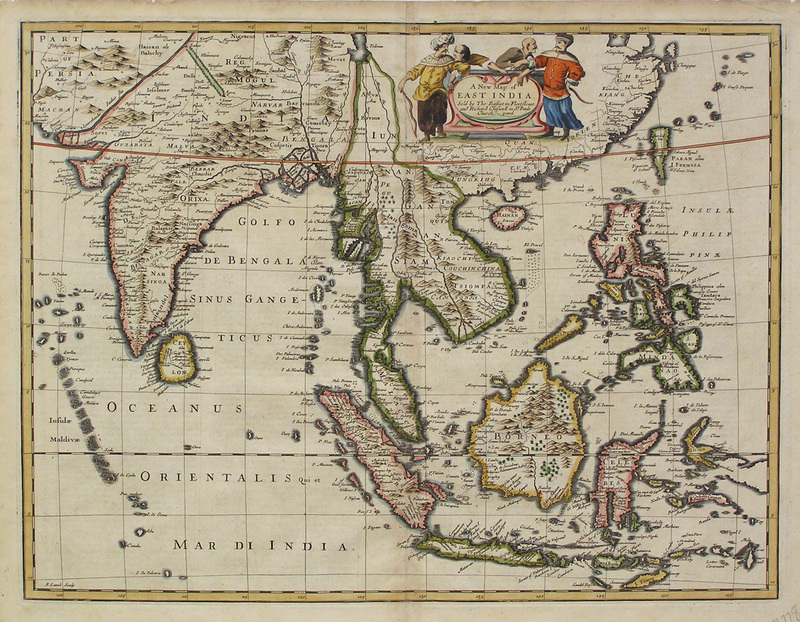 The “East India” region was originally composed of not only India, but also Burma, Malaya, Singapore, and all other British colonies in and around this area. It was a hub of trade activity and this is reflected in this cocktail’s mix of international liquors. The recipe from our project book, Ted Haigh’s Vintage Spirits and Forgotten Cocktails, has a slight variation from Mr. Johnson’s book by replacing the pineapple syrup with raspberry syrup. However as Mr. Haigh points out, there are many variations on the original and this version is a widely accepted variant. We will explore some of the variations later, but on to our test cocktail. The first thing you notice about the East India Cocktail is it’s gorgeous scarlet color. This is one element that clearly conveys the drink’s exotic origins. The scent was that of an earthy fruit compote, but upon tasting it, the brandy overtakes all the other flavors. While it wasn’t a hit, it did spark some good ideas for original cocktails that we will be exploring soon. And isn’t that the point of travel, whether physically or just with with your palate, to awaken your imagination? Mix all ingredients in an iced cocktail shaker. Shake until very cold. 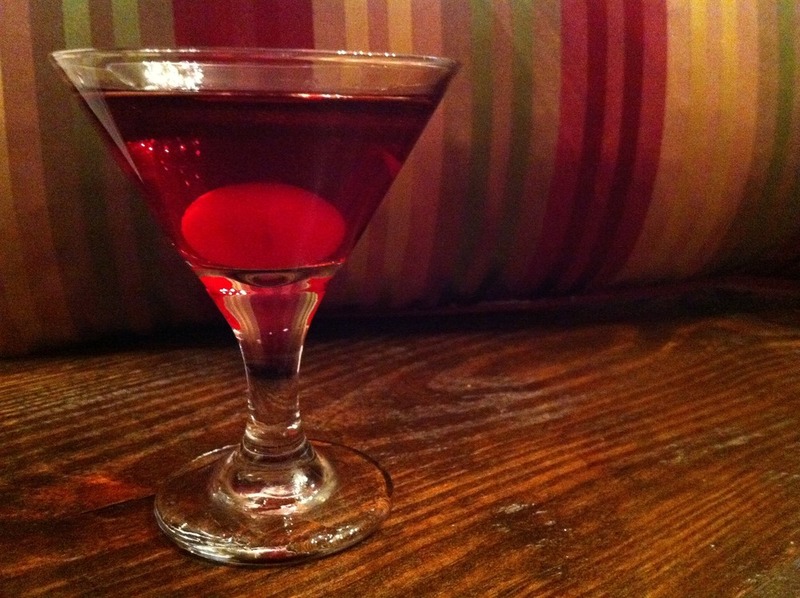 Pour into a martini glass and garnish with a cherry if desired. Below are links to other recipe variations that will provide an idea how this drink has changed since its creation.